An estimated 15 million people visiting Manchester’s Trafford Centre have had their faces scanned. This means millions of people have been subject to a secretive police line up, with photos being taken, analysed and potentially stored – and may not even know about it. If you’ve visited the Trafford Centre, you could be one of them. This shock spying in Manchester is the latest in a series of worrying revelations about high tech police surveillance. What is live facial recognition? 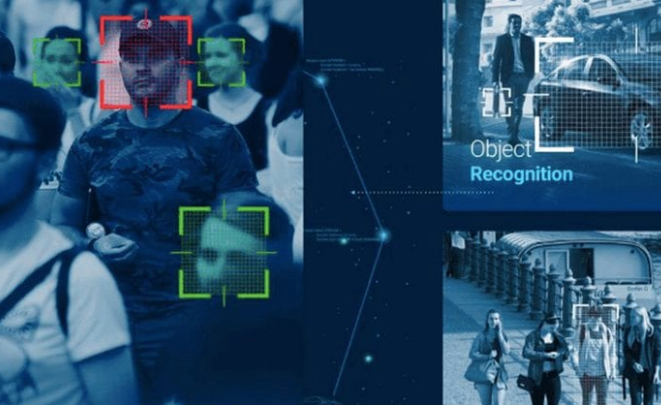 Live Facial Recognition (LFR) is a relatively new technology, in which facial recognition-linked cameras scan crowds in public spaces to identify people in real-time, matching faces against a database. The face of each and every person passing by a live facial recognition camera will be scanned and analysed – just like having your fingerprint checked – subjecting everyone within view to a biometric identity check. It is thought that police handed camera operators at the Trafford Centre a sensitive list of approximately 30 people, who are either missing or otherwise known or wanted by police, to be added onto the company’s own watchlist. There has been a lack of transparency around this chilling spying operation, largely due to the public-private partnership behind it. At Big Brother Watch, we’re submitting Freedom of Information requests in an attempt to find out more about what’s going on. How does live facial recognition affect you? Live facial recognition cameras can act like identity checkpoints. They rapidly create detailed maps of our faces – ‘faceprints’ – that uniquely identify us just like fingerprints. Shoppers’ faceprints are checked against a database of photos and stills from CCTV footage. In shopping centres, this typically includes people with previous convictions of theft and even people merely suspected of stealing, who could, in fact, be innocent. Lots of shoppers know the dreadful feeling of being watched under the overly-suspicious gaze of a security guard. Imagine security guards also having your ‘faceprint’ and being able to watch and identify you – or even misidentify you – from a crowd of thousands. Cases of mistaken identity could have serious consequences where facial recognition is concerned, enabling innocent people to be photographed, tracked and accosted by security in shopping centres. Worryingly, we know that facial recognition technology is still dangerously inaccurate. We obtained the Metropolitan Police’s own accuracy figures, which revealed that a staggering 98 per cent of their facial recognition ‘matches’ had in fact wrongly identified innocent members of the public as wanted criminals. Worse still, many facial recognition algorithms have been shown to disproportionately misidentify women and people of colour. Facial recognition surveillance undermines our freedom and is a clear breach of our rights. Human rights groups around the world are rallying against it – and at Big Brother Watch, we’re bringing the first ever legal challenge against the government and the police for their use of the dangerous new surveillance tool. We’re bringing the challenge with Green parliamentarian, Baroness Jenny Jones, to demand an end to the police’s lawless use of live facial recognition. A photo of Baroness Jones has previously been held on a ‘domestic extremism’ database, demonstrating the completely unreasonable and excessive ‘watchlists’ that the police have been known to collate. On July 25, we issued our claim in the High Court and are currently waiting for permission to proceed. You can support the cause by donating to the CrowdJustice fundraiser and spreading the word.